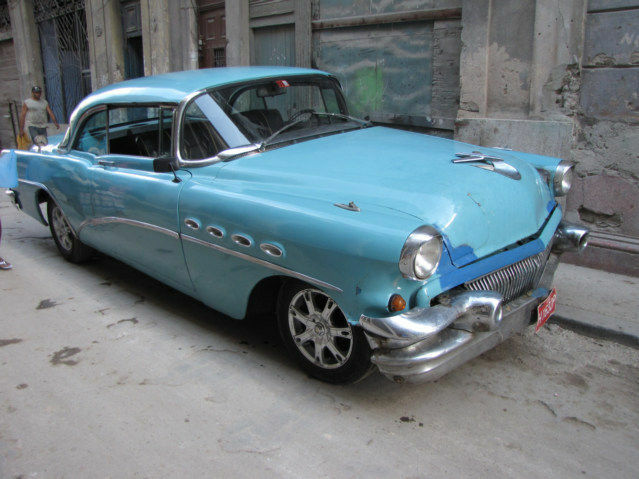 This is just a guesstimate, but I think about 1 in 20 of the cars in Havana are from about 1950-1965, I do not know cars. You can see this older car protruding forward like an old man, surrounded by young boys. 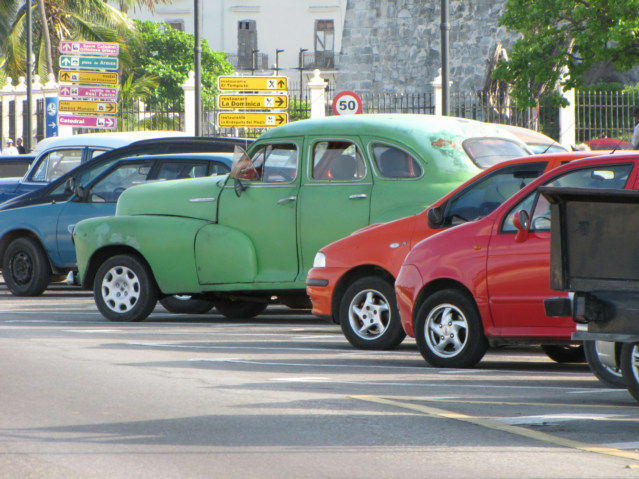 It would be misrepresenting Cuba to show you just photos of older cars, without showing you, the country is very modern. 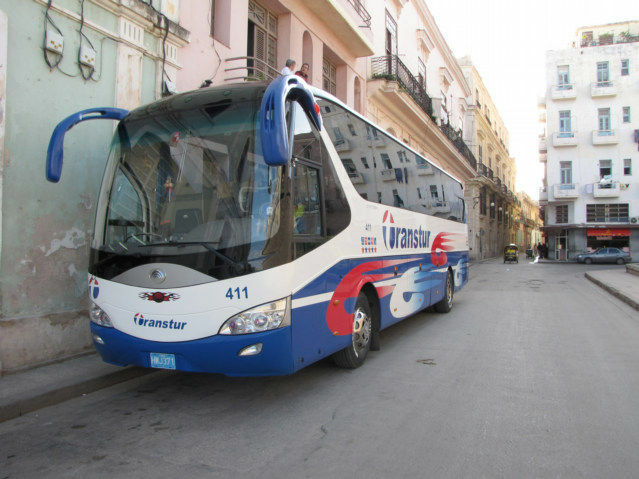 I saw a double decker tourist bus yesterday, coming from Habana Vieja; truly, this is a 100 percent capitalist society, with some socialist import export rules. This place is probably free, as long as you do not disagree. I will insert many photos of these older cars, there are so many it become boring. What makes Cuba obviously rich is their ability to keep the street clean, the cars in good repair, and organized. I have yet to see any poverty worth looking at; just a few beggars who know the tourist are soft targets, lazy people convincing silly tourist to give. The majority of Tourist looks Cuban, they probably moved to another country, and feel rich in comparison their former country. This skews their opinions; they treat the country personally and not as true tourist. However, the truth is, 99 percent of tourist love the country they are visiting. They only do big vacations every few years, they paid a lot of money to come to Cuba, they need to appreciate it and not devalue the trip, Tours are by nature, predestined to make a nothing, into a something.